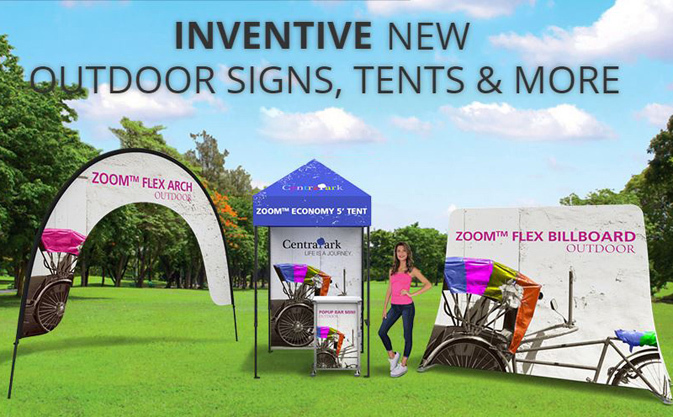 Our portable displays are incredibly versatile, easy to use, and help you proudly tell your brand story. 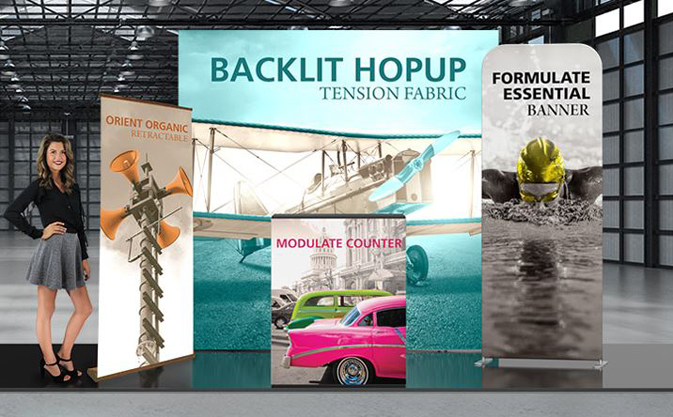 We deliver an enormous range of portable displays that are compatible with any need that you may have. Our offering provides you with high quality displays, significant modularity and strong price value. 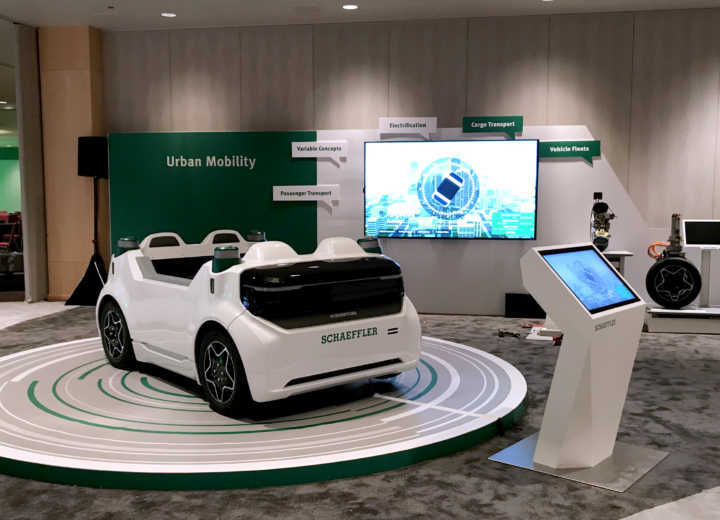 There are many great uses for portable displays. 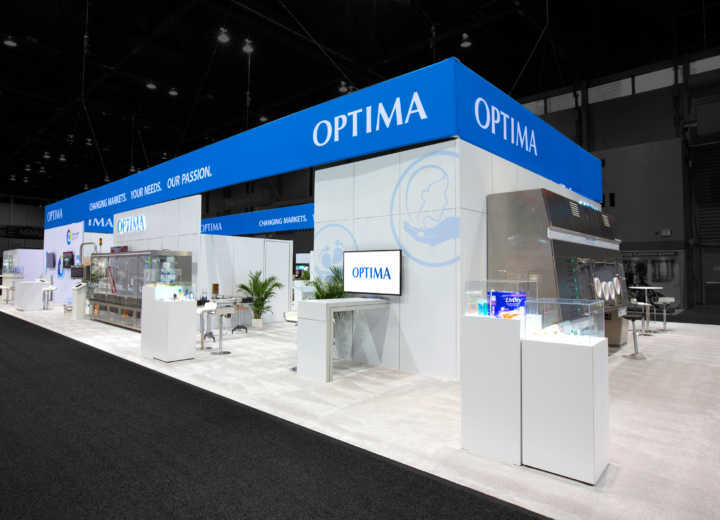 Optima exhibited in a 48×98 booth where they showcased three of their large machines at Pack Expo. 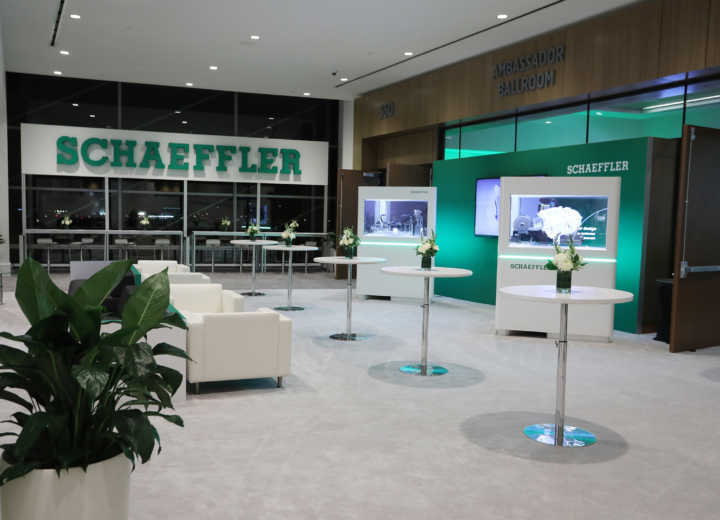 Check out the nice hospitality area where they offered coffee all day and several happy hours throughout the show where it turned into a full service bar! 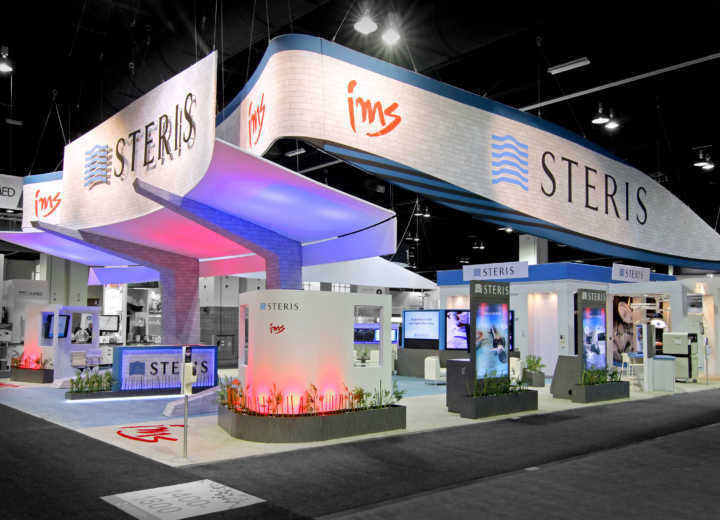 STERIS exhibited at AORN in a large way with this 50×100. 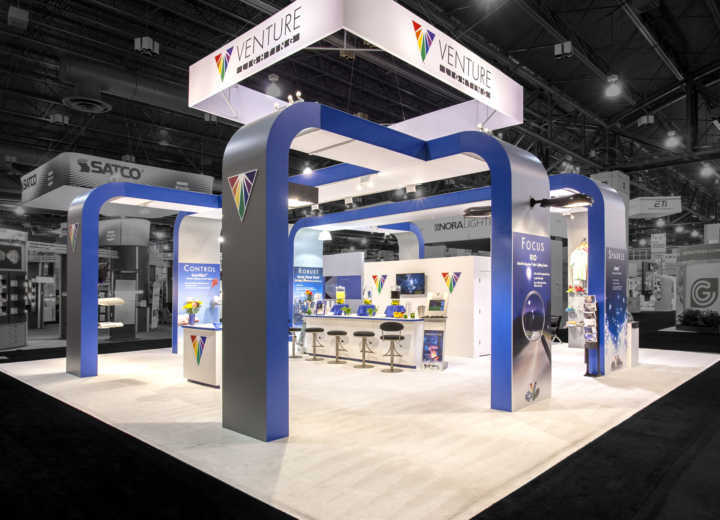 Venture Lighting exhibited in a beautiful, clean open 40×40 booth at LIGHTFAIR International. 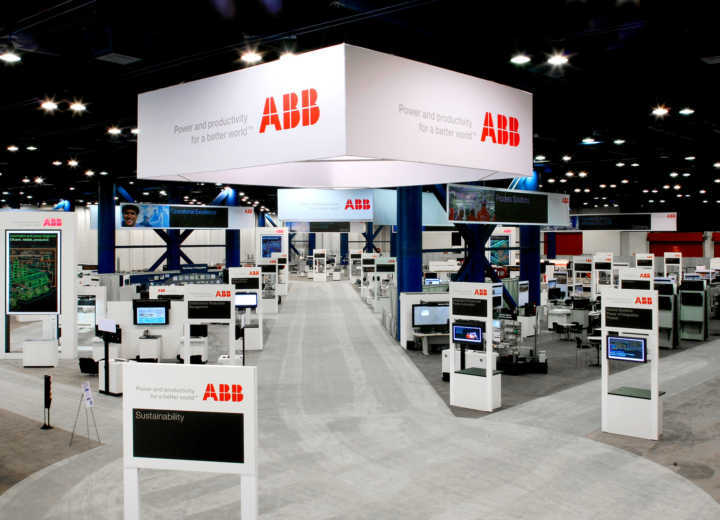 ABB Customer World is a proprietary trade show held annually. 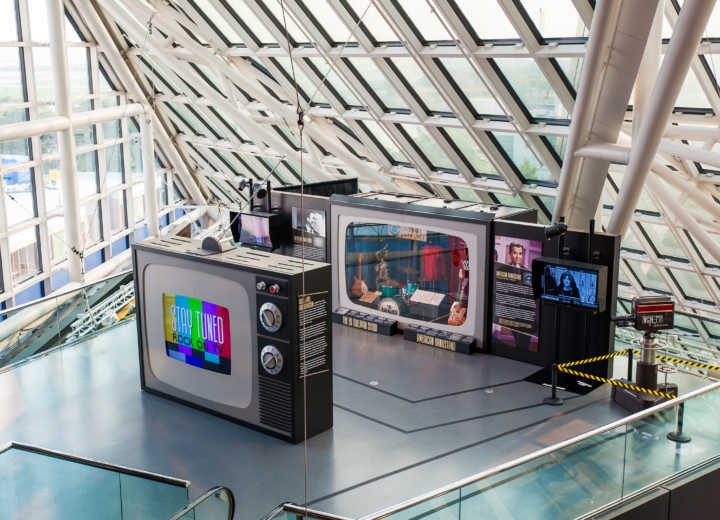 The Rogers Company engineers and fabricates all of the exhibits and graphics for this event and for the last seven years also served as the General Contractor for the show. 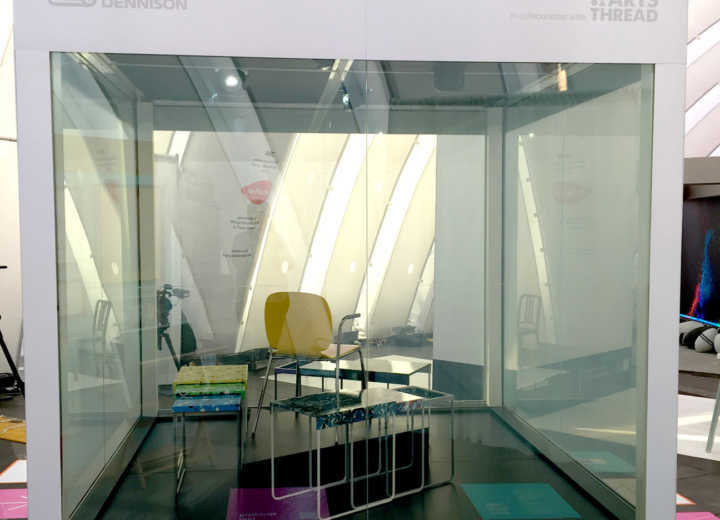 Avery Dennison’s VELA dynamic display-window technology was on exhibit in the outdoor design pavilion at NYCxDESIGN in Times Square. 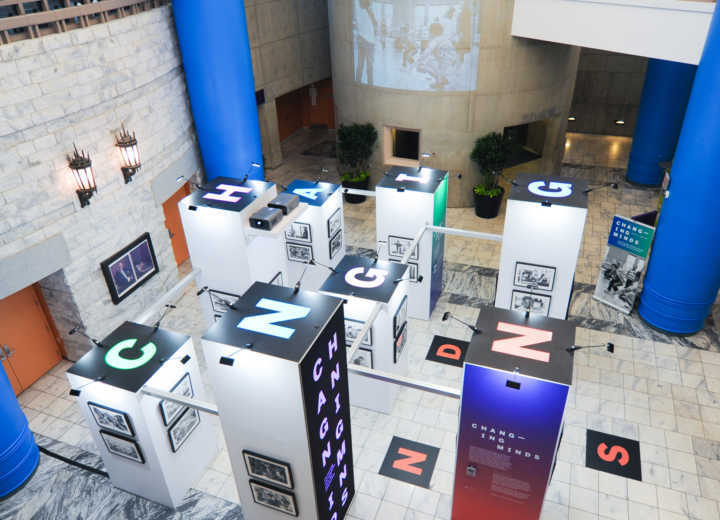 The Rogers Company worked with design firm Nesnadny + Schwartz to bring the “Changing Minds” exhibit to the public with a display that was designed to travel throughout the Cleveland Public Library system. 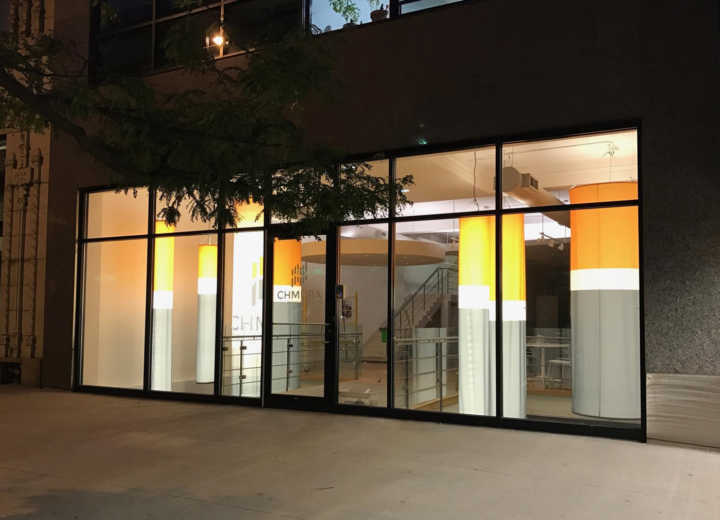 Chmura building created a welcoming bright lobby with great evening curb appeal.